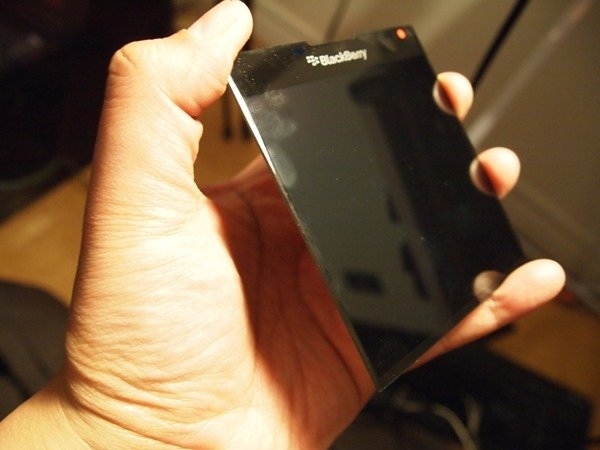 BlackBerry Windermere specs leaked | BlackBerry Blast! 4.5-Inch 1440�1440 Full HD LCD 453 DPI Display � A Beautiful large display for the largest BlackBerry experience to date. A Revolutionary Keyboard � The fast, accurate typing experience you crave with the convenience of all your favorite all-touch gestures at your fingertips. Designed to keep up with you all day � A powerful and efficient battery designed for a full day use. A slim 3450 mAh battery. A better BlackBerry 10 camera and photo taking experience � 13MP OIS rear camera designed to capture the best photo every time. The device is supposedly very light and built on a stainless steel frame. Click the source link below for the full story.